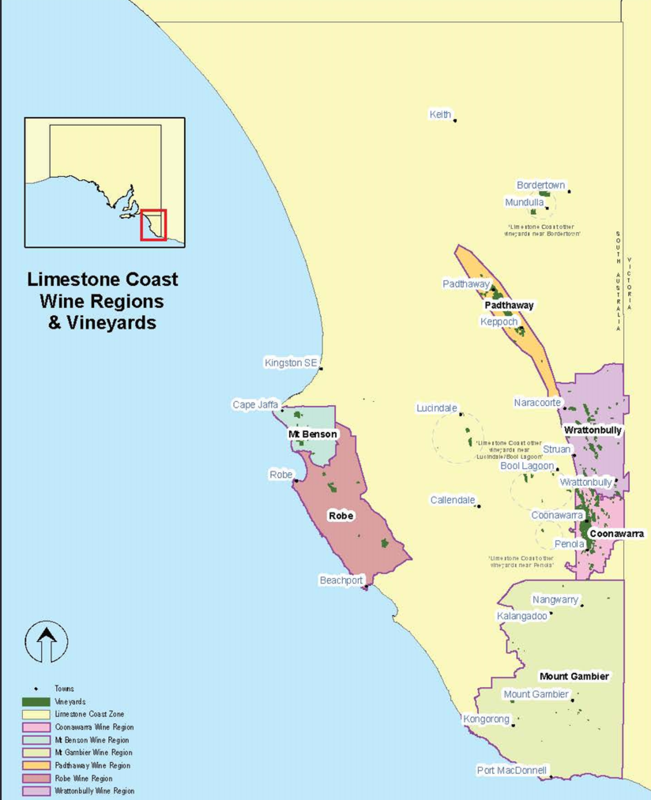 Wrattonbully, one of the six wine regions located in South Australia’s Limestone Coast Zone, is located between Coonawarra (to the south) and Padthaway (to the north). 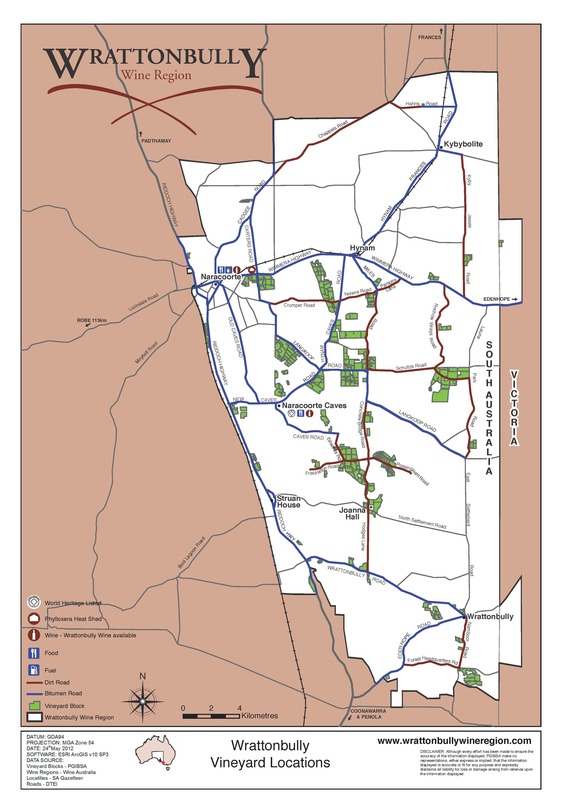 The eastern edge of the region forms a portion of the border between the states of South Australia and Victoria. The Aboriginal population of Australia recognized the region’s potential and settled in the area long before the first European settlers arrived—mostly from Scotland—in 1842. A few decades later—in 1885—the first grapevines in the area (about five acres of Muscat) were planted by George McEwin. McEwin planted other fruit as well, and used the grapes and the fruit to make preserves under the brand name Glen Ewin Jams. It is believed that grapes for wine were first planted in 1969 by the Pender Family; soon thereafter John Greenshields of Koppamurra Vineyard followed suit. These early vineyards were mainly Cabernet Sauvignon, with some Chardonnay and Shiraz. 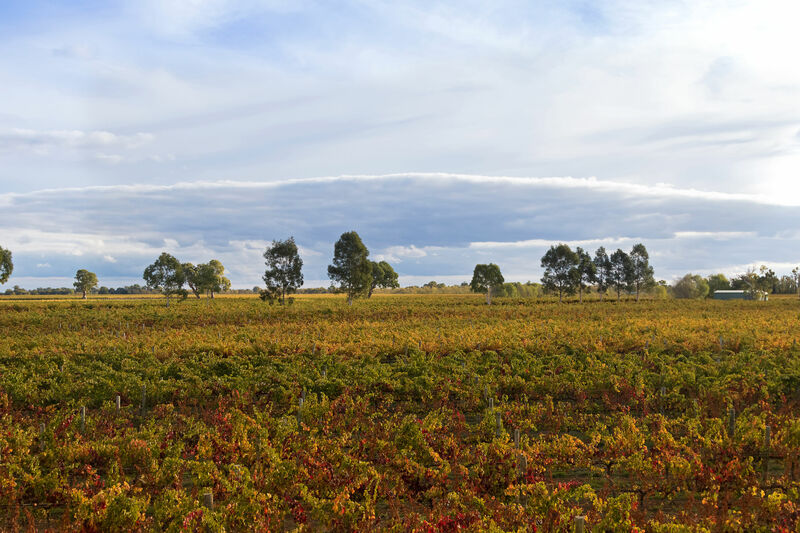 A few decades later, large tracts of terra rosa soil (extending northward from Coonawarra, just to the south) were uncovered in the region and wine companies from all over Australia started investing—and planting—in Wrattonbully. Today, Wrattonbully has over 20 wine estates and 6,400 acres (2,590 ha) planted to vines. The region was officially recognized as a Geographical Indication in 2005. Wrattonbully is largely red wine country; in fact, 86% of the current vineyards are planted to red grapes—led by Cabernet Sauvignon, Shiraz, and Merlot (in that order). The remaining 14% of the vineyards are planted to white grapes—mostly Chardonnay, Pinot Gris, and Sauvignon Blanc. 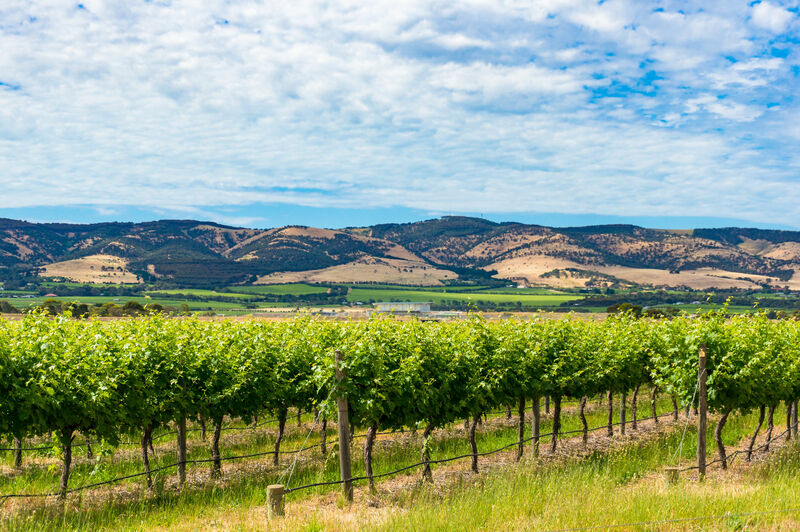 Rolling hills dominate the region, which spans across a portion of South Australia’s Naracoorte Mountain Range. Many vineyards are planted at the hillside “sweet spot” mid-way up the slopes at altitudes ranging from 245 to 295 feet (75 to 95 m). Located just 45 miles inland from the Great Australian Bight, Wrattonbully enjoys a mostly maritime climate—which allows for a long growing season—with some Mediterranean influences that keep the summers warm and dry. Limestone caves are a feature of this region, including the Naracoorte Caves, a UNESCO World Heritage site. The Naracoorte Caves—a complex of over 26 caves—are preserved within the Naracoorte Caves National Park. These caves contain the most complete fossil record of Australia’s past, spanning several ice ages, the arrival of humans in the area, and the extinction of Australia’s megafauna (large animals such as flightless birds and giant reptiles that lived after the extinction of the dinosaurs) roughly 60,000 years ago. 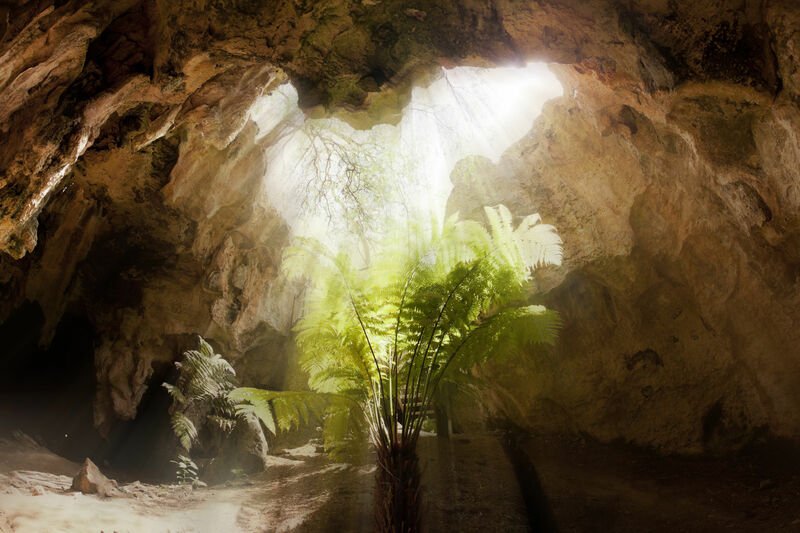 The first cave in the area to be discovered by Europeans was Blanche Cave, discovered in 1845. According to legend, a shepherd had gone in search of some missing sheep, and found them in the antechamber to the deep, stalactite and stalagmite-filled cave. Another cave—known as Bat Cave—provides one of only two breeding grounds for the Southern Bent-Wing Bat (and they all come home to roost every spring). Guided tours of many of the caves located within Naracoorte National Park—including Victoria Fossil Cave, Alexandra Cave, and the Bat Cave—are available year-round. Guided “adventure caving” (meaning crawling around in the dark) is available at the Stick-Tomato Cave, the Wet Cave, and the Starburst Chamber of the Victoria Fossil Cave. If you decide to visit the Naracoorte Caves—whether it be to watch the bats leave the cave at sunset, go crawling through a cave, or even just wander the fossil fields—you might want to make sure you have a nice bottle of Wrattonbully Cabernet waiting for you when you return, just in case you need to unwind a bit after all that adventure! This is the fifth installation in our six-part series on Australia’s Limestone Coast. Click here for the first article, on the Mount Benson GI, click here for the article on Mount Gambier, here for the article on Coonawarra, and here for the article on Padthaway.